In It's Been Said Before, lexicographer Orin Hargraves examines the peculiar idea and power of the cliché. He helps readers understand why certain phrases became clichés and why they should be avoided — or why they still have life left in them. Indeed, clichés can be useful — even powerful. And few people even agree on which expressions are clichés and which are not. Many regard any frequent idiom as a cliché, and a phrase regarded as a cliché in one context may be seen simply as an effective expression in another. Examples drawn from data about actual usage support Hargraves' identification of true clichés. They also illuminate his commentary on usage problems and helpful suggestions for eliminating clichés where they serve no useful purpose. 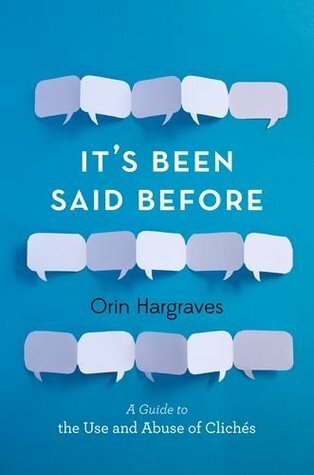 Concise and lively, It's Been Said Before serves as a guide to the most overused phrases in the English language — and to phrases that are used exactly as often as they should be.